Welcome back to another Monday Peeps! It's hard to believe how fast time passes. Summer Break is gone and it's already Back-to-School day for my kids today. It's been wonderful having them at home and we are all looking forward to a New School Year of possibilities. But it is still bittersweet. I've had such a great time viewing all of your gorgeous and oh-so-unique UNCOLORED entries at HMFMC. Just LOVED your creative takes for my UNCOLORED theme. WOW!! This girl was totally inspired and blown away! Thank you!! The NEW Challenge HMFMC177, is themed; FOOD, Glorious FOOD, and hosted by our Teamie, Christine Craig. With Fall and Christmas approaching, there are so many options for showing off FOOD as there are loads of HMD stamps with some type of FOOD :) Here is my take this week. It is a card for my daughter's favorite Math Teacher. The Winner of My extra Blog Candy for the NEW HMD stamp by Stampabilities, #HMLR1009, called 'The Quick Fix", is; Entry #21, which belongs to Donna E. Congrats!!! Please contact me at cardsbyamerica@gmail.com to claim your Candy! 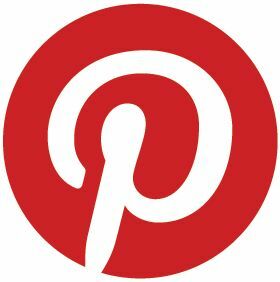 Be sure to stop by the HMFMC Blog to see my Teamies takes for more inspiration! gorgeous card america and congrat to the winners. Aww this is so sweet, I love it. Gorgeous creation. The paper...the image...the sentiment...embellishments...oh well just everything is PERFECT about this card America!!! Lucky teacher!!!! This is fantastic. Love that apple background paper and your embossing. Thanks for joining us at Craftin Desert Divas Back To School linky party. Super cute card!! Love that sweet image and your coloring is wonderful!! Hello America, by chance today I found your lovely blog and am thrilled. 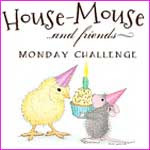 I love House Mouse. So far I have no stamp of it, but I love the sweet little mice. So far I have not found a shop that has this stamp (splitting Apple Seeds). I live in Germany, in Dresden.Damit I can look always so beautiful cards from you, I am now Followers of you. I send many greetings across the pond and I wish you a beautiful week. Fabulous background paper and amazing layers on this delightful back to school design! What a precious House-Mouse image, America! Thank you for sharing this wonderful card with the CCEE Stampers! 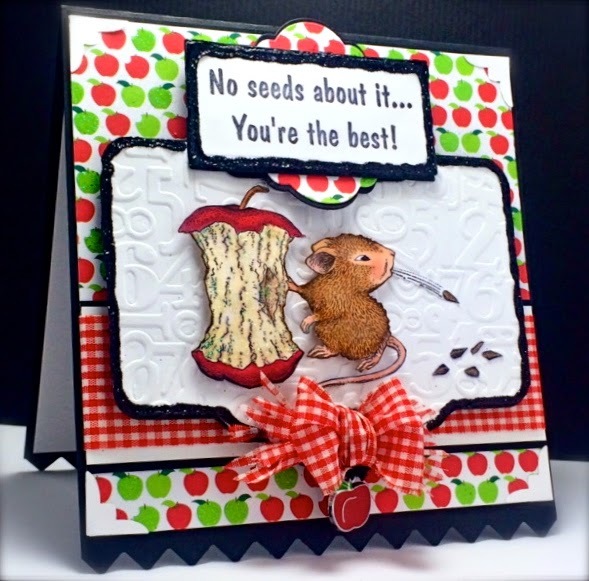 Fabulous teacher card, with that adorable little seed spitter! You fussy cut the little seed, wow! Love the perfect background paper and the design too. Oh my goodness... the cuteness of this card is just too much!!! Love it!! Thanks for playing along with Love To Scrap! Challenge Blog! !